0/3: I have smoked some of Asylum’s stuff in the past and, while I haven’t posted any reviews yet, I can tell you that they’re really good cigars. Checking out their Facebook page I see that they are celebrating a year in business, which is impressive and I think they will be around for quite some time yet. Great construction to this cigar with some oils on the wrapper. Solidly packed with some bumps and other minor imperfections evident on the surface. They tout this cigar as being very full bodied so we’ll see what we have. 1/3: It definitely starts out with a zing with the heat being particularly strong in the back of your nasal cavity. Cherry, oak and spice are the main flavors but there is also a little tanginess going on. I can’t say this cigar is insanely strong but it does have some strength to it. 2/3: Some sweetness starts peeking through during this third. That tanginess is very evident during this third and it’s not bad as it adds an extra element to the flavor profile. 3/3: Cherry seems to be the main flavor during this third with a good helping of spice. It’s still a full bodied cigar but I never thought that the strength of this cigar was too much to handle. 4/3: Full bodied with a good draw and burn; the Asylum Straight Jacket is a good cigar, especially for those of us who like full bodied cigars. The flavors are all pretty concise and they work very well together. Even though I didn’t come across this info in my search on this cigar I think it’s got a healthy dose of ligero tobacco coursing through its veins. To commemorate [Tatuaje’s tenth anniversary], My Father Cigars is repackaging the original Tatuaje Selección de Cazador, or “brown label,” sizes in a gold foil pouch with a redesigned band and uncut foot. A new perfecto size has also been created. That’s cool, most companies, no matter in what industry, don’t make it ten years. 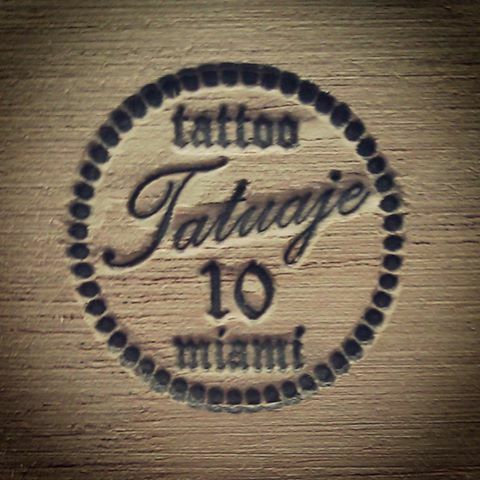 How has Tatuaje done it? Well, most of there cigars are awesome. Plus, Pete Johnson does an amazing job of promoting the brand and has created a cult status around his brand. Also, there’s some more stuff about the 10th anniversary party on that link. Now onto the cigar. 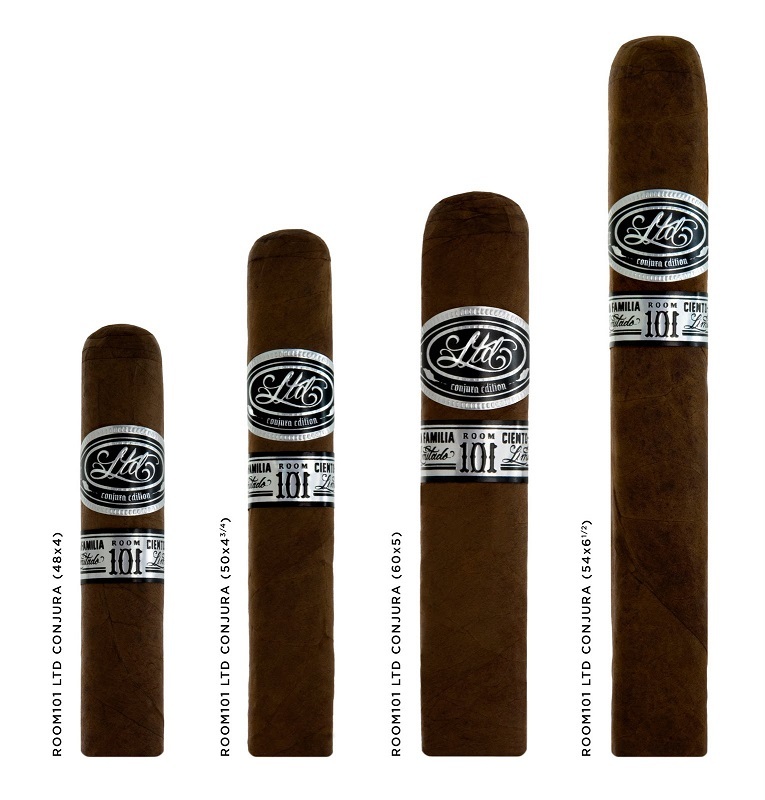 The cigar for this review is called the Havana Cazadores and measures in at 6 3/8″ by 43 and it looks well made, as is all of the premium stuff that comes out of My Father Cigars. While not a lot of oils on the wrapper the construction looks impeccable and the chocolate brown wrapper is marred only by quite a few superfluous veins. You are met with a fine grouping of warm flavors with a good helping of bright, fairly strong spice during the very beginning of the cigar. Those warm flavors include maple and some bread notes as well. It’s a complex group of flavors all wrapped up in a medium bodied bouquet. Very tasty. Great combination of deep, rich savory sweet flavors with spice continues during the middle third. A bit of meat gets added to the flavor profile during the latter part of this third. I’m really enjoying it thus far. While there isn’t a ton of evolution in this cigar the flavors do steadily pick up steam from the first third to this one. Spice has become a progressively bigger player throughout this cigar and the final third is no different. Medium bodied with a good draw and burn; the Tatuaje 10th Anniversary Havana Cazadores is a wonderful cigar replete with flavors ranging from rich maple sweetness to a clear, cutting spice. This mixture of flavors is great and will probably appeal to just about anyone. 0/3: Big, pretty much gigantic, cigar, with a matte brown cigar. There are a decent amount of oils on the wrapper with no noticeable imperfections. In fact, this cigar’s looks are about as uniform as I have ever seen. I am worried about the size of it though, I am not particularly partial to larger vitolas. The wrapper is Mexican and, not too long ago, that wouldn’t have been something that cigar companies would have trumpeted. I don’t know about the quality of Mexican tobacco from years ago but they seem to be pretty good nowadays. And I’ve heard rumors about a major, well respected cigar line having used Mexican San Andres wrappers for years but that’s for another time. 1/3: Wow, a ton of flavors are jumping around right off the bat. Spice, dry earth and some fruity sweetness. I’m liking it very much. 2/3: Sweetness takes over as the leading flavor but the backup flavors of smokiness, earth and some soft spice are strong and provide a strong counterbalance to the sweetness. It’s an interesting mix for what it is. 3/3: The flavors become a bit deeper and warmer during the final third. Fine cigar but without much of a zing at this point. The flavors are about the same as they were in the second third. 4/3: Medium-full bodied with a good draw and a decent burn; the Room 101 San Andres is a pretty good cigar. The flavor profile is straightforward and is tasty enough. I liked the cigar but I’m pretty sure that I would have liked it more in a smaller vitola. During the summer last year I purchased the cigars for this review as well as some of the Tatuaje Cojonu 2012 Habano, which I liked. I’ve been looking forward to reviewing this cigar for a while and today is as good as any other. Maybe not an exquisite looking cigar, it does have a rich look to it. Also, the wrapper feels like velvet, velvet with some oils. There are also a couple of bumps and veins on the semi-dark brown wrapper. It feels uniformly packed and it’s pretty solidly packed at that; slight box press to this cigar. Study Hall (American Horror Story Short) Witch Burning! There’s an overall softness to the flavor profile that is nice. Sweetness, a mixture of bright spices that linger in the nostrils after a healthy retrohale and there are some pleasant wood notes occasionally coming through. The flavors are good at this point and my overall impression of this cigar is that it’s pretty laid back but that there is also this underlying spicy intensity just wanting to be let free. That soft spice is evolving into something more exotic and the intensity is picking up a bit from the first third. This spice has some body and depth to it. Sweetness, which has a faint resemblance to brown sugar, is still chugging along. Any woodiness that was around in the first third has receded well into the background. I’m hoping that the intensity of flavors (not the strength of the cigar) will continue to increase. During the final third the flavors seem to drift a bit and lessen in intensity. Not a bad turn as the flavors, which are pretty much the same with a bit of doughiness added in, are still enjoyable but this cigar didn’t end with the bang I was hoping for. Medium-full bodied with a good draw and burn; the Tatuaje Cojonu 2012 Sumatra features a well developed flavor profile that never turns bad. Throughout my time smoking this cigar I got an unmistakably exotic feel to the flavor profile that was interesting and pretty tasty. It’s a good cigar and I’m glad that I got the chance to smoke these cigars. Saying I found nothing is a bit of an overstatement but I didn’t find much. 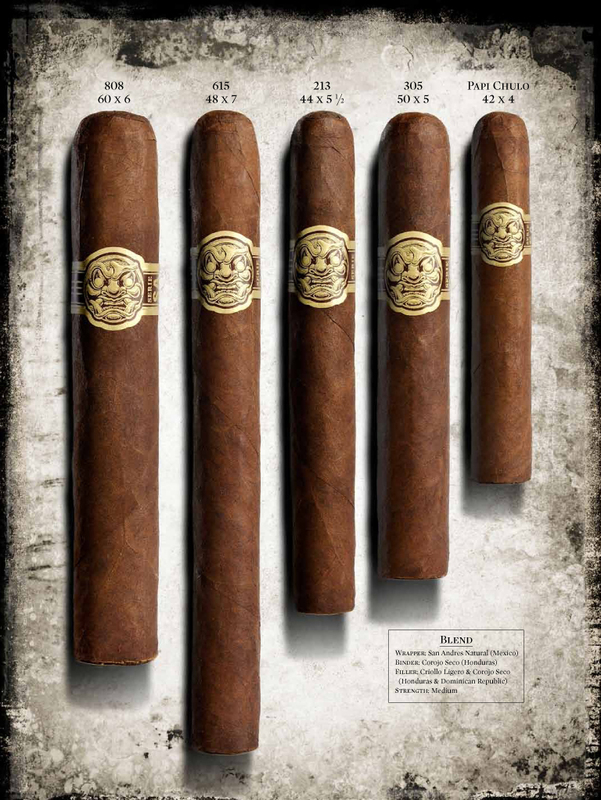 I couldn’t find a central location for information on Room 101 Cigars, which I find odd since Matt Booth (Boofy), the creator of Room 101, is a genius at marketing and promotion and Camacho, who make the cigars, isn’t bad either. It’s not too important, I guess, as the more recent stuff from Room 101 is pretty popular even without a ton of info on the web. Take myself as an example. I find the brand interesting and I did like the original Namakubi and Daruma. Now onto this cigar. It’s a box pressed cigar with a medium-light brown wrapper and good construction. There are a decent amount of oils on the wrapper and the look, beyond the “medium-light brown” descriptor, has a mottled look to it. Alright, enough of this, let’s smoke the cigar. After an initial burst of peppery spice comes some dry, barnyard flavors that are performing decently. There’s also some oak and that peppery spice gradually morphs into a dry spice. It’s a unique mixture of flavors and I’m not quite sure what to think about it yet. Some sweetness comes on during the second third but the main flavors are barnyard and oak. Spice is pretty much gone at this point. There isn’t a lot of strength to these flavors at this point, which is troubling. Sweetness becomes a stronger flavor during the final third. I did have to perform one sizable touch up during this third but it didn’t seem to affect the performance of the cigar. The sweetness started to take on a floral character during the second third but it really comes on during the final third. Medium bodied with a good draw and a decent burn; the Room 101 Ltd Conjura isn’t a bad cigar but just one that I don’t particularly care for. The spice that was present was decent for a while but then it just falls off of the map. What is present is a lot of pleasant sweetness that, while I’m sure some of you will like it, I just didn’t particularly care for it.